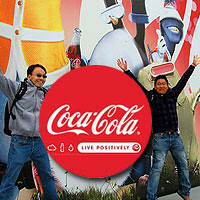 A plug for omy.sg’s Singapore Blog Awards 2010 – a campaign I am running. The top 100 finalists in the ten main award categories are revealed. Vote for your favourite bloggers and stand to win attractive prizes like a Garmin ASUS M10 smart phone, luxurious resort stays from Asia Web Direct and many more. Singapore, 25 May 2010 — The finalists of this year’s Singapore Blog Awards are revealed. 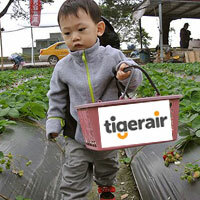 Out of over 1000 blogs registered for the awards, a total of 100 blogs made the cut. There are 10 finalists in each of the 10 categories. Organised by omy.sg, the bilingual news and interactive web portal of Singapore Press Holdings (SPH), the Awards honour “new-age wordsmiths” who devote their time and energy to create and maintain informative and innovative blogs. 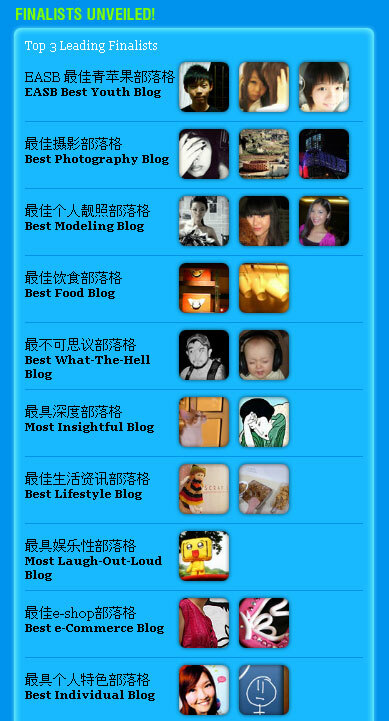 The ten main categories are EASB (East Asia Institute of Management) Best Individual Blog, Most Insightful Blog, Best LOL (laugh-out-loud) Blog, Best e-Commerce Blog, Best Photography Blog, Best Lifestyle Blog, Best Modeling Blog, Best WTH (what-the-hell) Blog, Best Food Blog and The Y-Bloggist Award (for bloggers under 25), presented by tech brand iKnow. The winner of each category stands to win attractive prizes including a trip to Hong Kong with air tickets and accommodation paid for by the Hong Kong Tourism Board. Out of the 1000 blogs registered for this year’s awards, a number of entries are by bloggers from Malaysia, Australia, The Philippines, China and other countries. 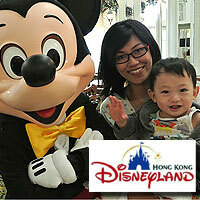 This is a sign that the three-year-old Awards has gained popularity among overseas bloggers. – TechXav (http://TechXav.com): A 16-year-old boy who is Singapore’s top Twitter user. 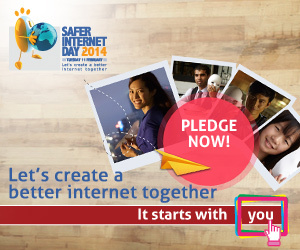 He also operates an international tech blog with content submitted by youths around the world. – Aussie Pete (http://www.aussiepete.com): A self-professed “completely-localised and proud ang moh” from Australia who has been living and working in Singapore for many years. 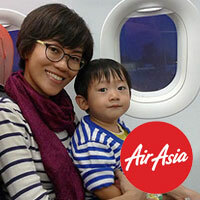 – Violet Lim (http://www.violetlim.com): A successful businesswoman who is also a mother of two and founder of Asia’s first lunch dating agency, Lunch Actually. – Gordonator (http://gordonator.com): A Star Wars fan boy who makes regular public appearances in his Storm Trooper costume. He is also a member of the 501st Legion, a worldwide Star Wars non-profit costuming organisation. – Ten gorgeous models in the Best Modeling category. These ladies are not shy to post provocative photos of themselves on their blogs and some of them appeared on television and even made news headlines. The winners will be determined via public voting as well as scores given by a panel of ten professional judges. 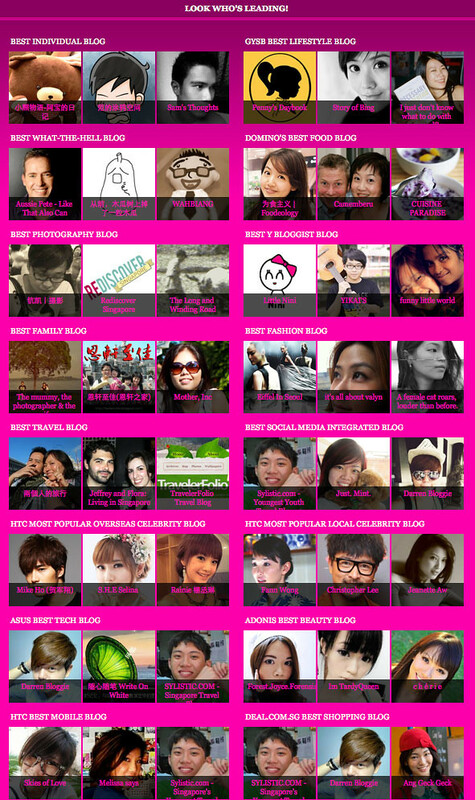 Voting for the Singapore Blog Awards starts today via the official website – http://sgblogawards.omy.sg. 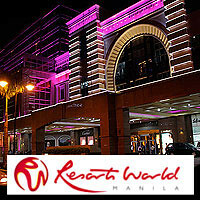 Voters stand to win attractive prizes like a Garmin ASUS M10 smart phone, luxurious overseas resort stays and more. Judges for this year’s awards are Mr Kelvin Tong, movie director; Ms Kuo Jian Hong, Co-Artistic Director of The Theatre Practice; Ms Anna Lim, Radio 100.3 deejay; Mr Josh Lim, Managing Director of Advertlets; Mr U-Zyn Chua, CEO of Ping.sg; Mr Samuel Ng, CEO of Marine Parade Family Service Centre; Ms Xiao Han, Director and Lyricist of Funkie Monkies Productions, Mr Walter Lim, Director of Corporate Services and Marketing Communications, National Art Gallery and Mr Danny Yeo, theatre practitioner. Singapore Blog Awards 2010 winners will be revealed at a prize-presentation ceremony with details to be announced at a later date. The winner of each category will walk away with a custom-designed trophy created by Singapore Cultural Medallion winner Mr Tan Swie Hian and a variety of sponsored prizes, including a trip to Hong Kong, ASUS netbooks and more. The main sponsors for Singapore Blog Awards 2010 are the East Asia Institute of Management (EASB), National Heritage Board (NHB) and United International Pictures (UIP). 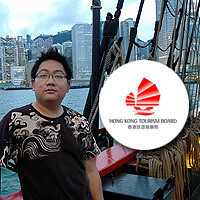 Air tickets and accommodation for the 10 award winners are sponsored by the Hong Kong Tourism Board. Other sponsors include Rednano, ASUS, Asia Web Direct (http://www.asiawebdirect.com) and Fabrix. The awards is supported by blog networks, Advertlets.com and Ping.sg, as well as Singapore’s top Online Classifieds portal, ST701. Adding to the excitement is Rednano Best Mobile Blog Award organised by Rednano Mobile, the mobile platform of Singapore’s local directory search engine Rednano.sg. This is a new category introducing Mobile Tweet combined with Blogs for this year’s Singapore Blog Award 2010, which is predominantly online-focused. Participants who had submitted their tweets via mobile.rednano.sg had been evaluated by a Rednano panel of judges. 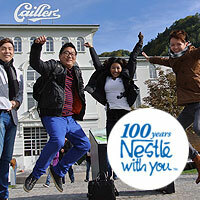 The selected top 10 finalists are announced today. 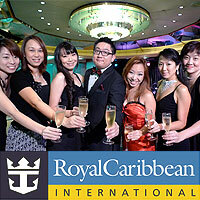 They can be found on http://sgblogawards.om.sg/category/. The public can now vote for their favourite bloggers by sending an SMS with the code of the blogger to 33833. Please visit the official website for the full list of finalists and the categories. 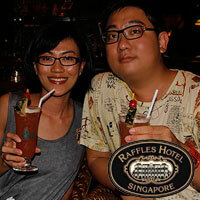 Singapore Blog Awards 2010 – Win a trip to Hong Kong and more! Plugging this for omy.sg. 🙂 If you have a blog, do join! The prizes are really great this year – the ten award winners get to go on a trip to Hong Kong, with tickets and accommodations fully sponsored by the Hong Kong Tourism Board. That’s not all, they also get to win ASUS net books, luxurious travel hotel accommodations from Asia Web Direct and many more. In addition, all registered bloggers will be entered into a random draw to win a Garmin ASUS smart phone. Hurry and register now! The press release is as below. Visit the official website or official blog for more information. Singapore, 09 April 2010 — The annual Singapore Blog Awards returns this year with more exciting events and prizes. Bloggers will stand to win a trip to Hong Kong, inclusive of air tickets and accommodation, an ASUS netbook and other attractive prizes. Organised by omy (www.omy.sg), Singapore Press Holdings’ bilingual news and interactive web portal, the Singapore Blog Awards honours “new-age wordsmiths” who devote their time and energy to create and maintain informative and innovative blogs. 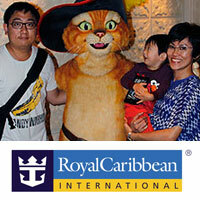 Ms Lee Kuan Fung, Associate Editor of omy.sg, said: “Managing and writing a blog can be a life-enriching experience. Be it a photo enthusiast, foodie or just someone who likes to share random thoughts, blogging is a creative process which is rewarding for both the bloggers and readers. One objective of the Singapore Blog Awards is to recognise and encourage these bloggers who would go the extra mile in creating and sharing content online”. Singapore Blog Awards, currently in its third year, offers ten award categories, namely EASB (East Asia Institute of Management) Best Individual Blog, Best Lifestyle Blog (sponsored by National Heritage Board), Best Modeling Blog, Best WTH (what-the-hell) Blog, Best Food Blog, Most Insightful Blog, Best LOL (laugh-out-loud) Blog, Best e-Commerce Blog, Best Photography Blog, and Y-Bloggist (http://project.omy.sg/ybloggist), presented by iKnow. Adding to the excitement are the two fringe awards – Best Local Celebrity Blog and Best Overseas Celebrity Blog – in partnership with rednano.sg, Singapore’s local directory search engine (www.rednano.sg). The online and mobile directory service portal, launched in 2008, is operated by SPH Search Pte Ltd, a subsidiary of SPH. There will be no prizes given to the fringe award winners but voters stand to win attractive prizes via online and mobile votes. 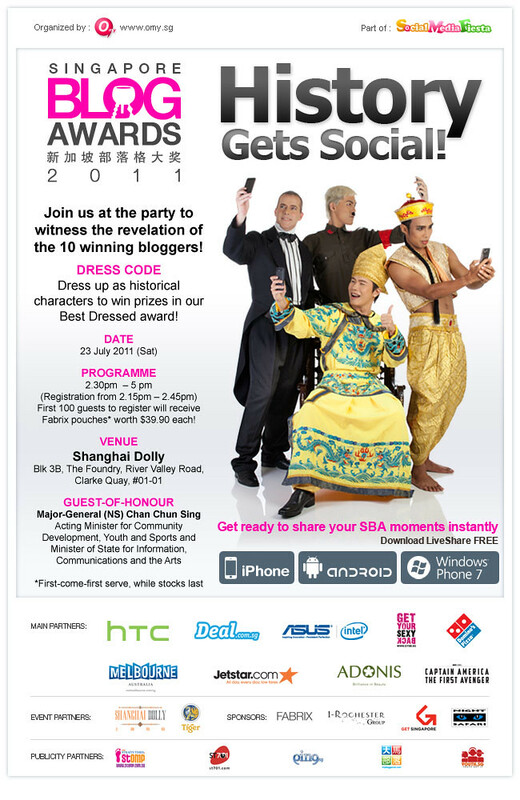 In conjunction with the Singapore Blog Awards 2010, Rednano will also be running a Rednano Best Mobile Blog Award from 15 April 2010. More details will be announced later. This category is for individualistic blogs with free-wheeling content about daily lives and musings that cannot be categorised. This category is for blogs that shares information that will light up someone’s mundane lifestyle. This category is for professional photographers to share their works with photography enthusiasts. This category is for blogs with lots of self portraits and modeling photos. This category is for blogs featuring food content. Blogs which focus on the strange, the underground…topics that would make you go “WTH”. This category is for serious blogs with interesting and revealing insights, analytical reports, and commentaries on social issues. 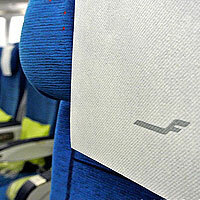 Blogs containing humorous content that cackles up readers. This category is for blogs which deal with online commercial activities. This is a blogging challenge for any youth bloggers aged 25 years and below. 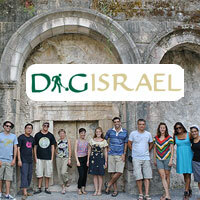 Participation is open to individuals or a group of no more than five people sharing a blog. To crown the award winner for each of the 10 categories, a score will be computed based on public votes (30%) and scores given by professional judges (70%). This category is for celebrities’ blogs written by celebrities in the entertainment and media industry, writers, sportsmen and others, excluding those from Singapore. This category welcomes public to register at mobile.rednano.sg via their mobile phone with their own Twitter ID and start tweeting about the latest mobile gadgets. Participants are required to append #rednano at the end of each tweet. 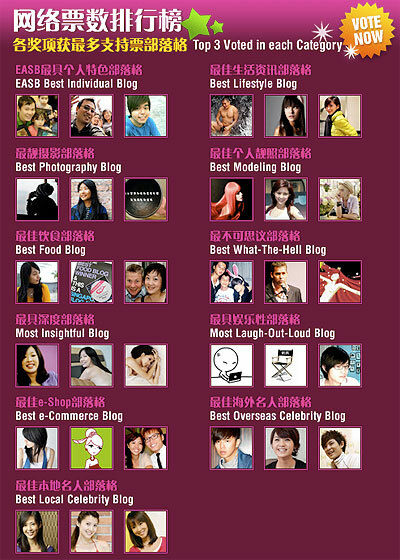 More details will be announced on the official Singapore Blog Awards 2010 website on 15 April. Singapore, 15 June 2009 — omy.sg today released the top ten finalists in the ten main categories of the Singapore Blog Awards 2009. Organised by omy (www.omy.sg), a bilingual news and interactive web portal by Southeast Asia’s leading media organisation Singapore Press Holdings Ltd (SPH), the Awards honour “new-age wordsmiths” who devote their time and energy to create and maintain informative and innovative blogs. There were 1500 blog registrations for this year’s Awards. This was an increase of 50% from last year. 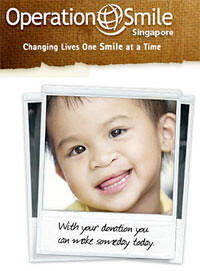 You can help by blogging about this or pasting this blog button onto your blog. 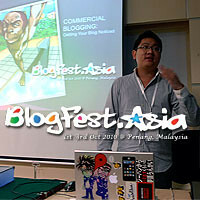 We have roped in more sponsors this year and two blog networks, Advertlets.com and Ping.sg to help omy.sg to rally for more bloggers to take part in this award. 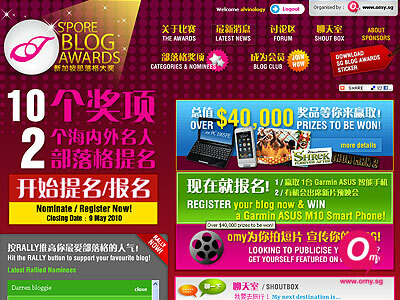 You can now submit blog nomination/registration; join omy’s Blog Club; vote for the most Blogged-About Event in 2008; join the official Singapore Blog Awards facebook group and even chat with other bloggers. 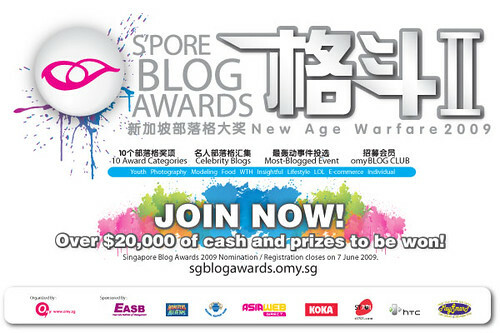 Singapore, 28 April 2009 — The Singapore Blog Awards return this year with more categories and prizes for bloggers! 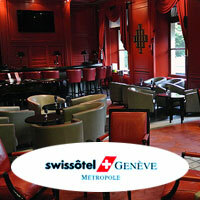 A total of 6000 blogs were nominated and over 70,000 votes were cast for last year’s inaugural event. The judges this year are Mr Man Shu Sum, CEO of Mark Burnett Asia; Mr Kelvin Tong and Mr Royston Tan, both Singapore movie directors; Ms Kuo Jian Hong, Co-Artistic Director of The Theatre Practice; Ms Anna Lim, Radio 100.3FM deejay; Mr Josh Lim, Managing Director of Advertlets; Mr U-Zyn Chua, CEO of Ping.sg; Mr Samuel Ng, Executive Consultant of Marine Parade Family Service Centre; Ms Xiao Han, Director and Lyricist of Funkie Monkies Productions and Mr Chua Chim Kang, Editor of omy.sg and Lianhe Wanbao. This category is for all blogs written by bloggers below 16 years old.